Eric Klein is Team Leader of the 150+ attorney national healthcare practice, which has been named twice as Law360 U.S. Health Care Practice Group of the Year. He is a partner in the Century City office of Sheppard Mullin, a full service AmLaw Global 100 law firm with offices throughout California, New York, Chicago, Washington, D.C., Dallas, London, Brussels, Seoul and Shanghai. With over thirty years of practical legal and business experience, his practice focuses on the healthcare, technology and related industries. Known in the business community for his creative solutions and deal-making ability, Eric uses deep industry knowledge, entrepreneurial solutions, sophisticated negotiation skills and effective legal process to meet the complex business and legal needs of both established and emerging companies. Eric is one of the most active physician group and hospital M&A lawyers, having advised on more than 60% of all major managed care physician group transactions in the Western U.S. in the past five years. Eric represents physician groups, hospitals, health plans, ancillary service providers and private equity and strategic investors. He works with publicly traded and privately held companies across the country and advises both for-profit and non-profit clients on mergers and acquisitions, strategic alliances and joint ventures, operational and contracting matters, strategic planning, HMO licensing and compliance, regulatory matters and information technology transactions. Chambers USA Guide to Leading Lawyers: Eric Klein "is particularly strong in large transactions" and "has an excellent knowledge base and a huge breadth of experience." Sources say: "In addition to his wonderful grasp of the law, he understands the medical issues and the business aspects - this is a real gift." He is "a sophisticated transactional lawyer" who is "really knowledgeable and really understands the law because he has done a lot of deals," and "He is singly the most talented healthcare lawyer that I have encountered. He is brilliant but practical. He will offer solid, clear recommendations and will make it happen just the way he says." Legal 500 Guide: He is "a wonderful negotiator, creative, experienced and skillful." Eric is "extremely well versed in healthcare law, and an excellent strategist." He "has the skills necessary to get the deal done" and is "one of the best M&A lawyers in the industry." The Healthcare team was awarded the Deal of the Year in the healthcare industry by the M&A Atlas Awards in 2013 for the DaVita acquisition of Healthcare Partners. In the hospital sector, Eric has led 60 hospital purchase/sale and joint venture projects in the last 13 years and has worked on hospital networks, conversion of non-profit hospitals into for-profit hospitals, credit facilities for hospitals, establishment and acquisition of outpatient treatment centers, outsourcing of hospital departments and hospital syndications. 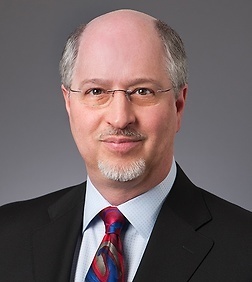 He also has assisted with payor contracting and disputes, governmental investigations and licensing, and hospital-physician contracts and joint ventures. He also recently assisted with several revenue cycle management projects. In addition, he has deep experience in healthcare information systems and technology. His projects have included multiple large-scale electronic medical records (EMR) systems contracts, including the acquisition of a $12 million ERM system by a hospital, formation of a health information exchange and acquisition and physician roll-out of large-scale medical group EMR systems. Other assignments have included: the development and national roll-out of a personal data assistant (PDA) based information system for hospital-based physicians; the creation of a company that provides real-time PDA-based ICU information; the acquisition and customization of an eligibility and credentialing system; and the implementation of an integrated financial system. Eric has helped to create, acquire, joint venture and operate multiple health plans across the country, including for Medicare Advantage, Medicaid, commercial and exchange products. He has led over 30 health plan merger and acquisition projects in recent years. Eric also has been working on innovative payor/provider initiatives to create downstream global risk bearing entities in multiple states for multiple clients. This included the 35 state downstream global risk contract between Fresenius and Humana. In the area of Knox-Keene HMO regulation, Eric is working on multiple Knox-Keene applications and we represent half of all currently licensed restricted Knox-Keene HMO license holders in California, and obtained a majority of all restricted Knox-Keene health plan licenses granted in California in the past three years. He obtained a Knox-Keene license for a new vision services plan in nine months, one of the fastest licensure processes in the history of the Department of Managed Health Care. He has assisted Knox-Keene plans with licensure issues, compliance and corrective action plans, restructuring, acquisitions and disposition of plans, holding company structures and credit facilities. Eric also lectures nationally on negotiation skills and has trained many business leaders, investment bankers, lawyers and entrepreneurs in basic and advanced negotiation techniques. He is a frequent lecturer and has been a featured speaker at the Blue Cross Blue Shield Association National Summit, the California Association of Physician Groups annual meeting, the Hospital Association of Southern California annual meeting, Health Care Executives, HealthLaw 2.0 and other trade associations. He has received the highest quality rating of "AV" from the Martindale-Hubbell legal directory. Molina Healthcare in its agreement to acquire certain Medicare Advantage assets from both Aetna and Humana, relating to Aetna’s proposed acquisition of Humana. Heritage Development Organization, an affiliate of Heritage Provider Network and a national leader in coordinated care and integrated delivery network development, in forming a multi-billion dollar joint venture with Trinity Health, the nation's second-largest nonprofit hospital system to better coordinate patient care across much of the country. PriMed Physicians, one of the largest multi-speciality physician groups in Connecticut, in its affiliation and alignment with Yale New Haven Health System, a major integrated delivery system in Connecticut. Heritage Development Organization in an agreement with Fresenius Medical Care, a diversified healthcare company and North America’s largest provider of kidney care and hospitalist services, to develop or acquire physician networks and groups and to provide care coordination and population health management services in select markets throughout the country. Paladin Healthcare Management, a healthcare management and private equity firm with a focus on reengineering operations at urban hospitals to produce value added outcomes, in a collaboration with Howard University where Paladin, through a management services agreement, will create up to 30 new community primary care centers around Howard University and provide management services to Howard University Hospital. The Biggest Healthcare Opportunity in the Next 5 Years is…. ?